As I’ve noted before, many of the blog posts I write are about things that I know my own students and research assistants need (or will need). This is one of those cases. My students and research assistants often ask me “how should I write a powerful introduction?” It’s also one of the blog posts that other students and ECRs have asked me to write for a very long time. So here it is. What is the purpose of an introduction to a paper, a journal article, a book or a dissertation? In a recent Facebook conversation, Dr. Pat Thomson (University of Nottingham) mentioned that it was important that the writer knows what’s the purpose of the paper. Pat and her coauthor Barbara Kamler argue that the very first move of the paper is usually to LOCATE, that is, to situate the paper (or book or journal article, or thesis) within the broader theoretical and empirical literature. Having read their book I tend to agree, though in the papers that I am using as an example here, not everyone uses the exact same structure as Thomson and Kamler do. Still, Thomson and Kamler’s advice is sound and one that should be heeded when thinking about introductions. See Slide 3 in the embedded Power Point in Pat’s post on introductions. I can’t claim that I write the best introductions, but in a similar way as I did when I wrote about the difference between description and analysis in academic writing, I have used exemplars from other scholars to offer insights into how introductions to papers, book chapters, books, and theses should be written. I tweeted an entire thread (which you can open by clicking on the tweet shown below). The puzzle – a synthetic summary of the literature review. The solution – a short discussion of methods and findings. The “why this solution works” – a preview of the discussion section. Note how in my 8 sequential steps to writing a paper, I put special emphasis in deploying the introduction https://t.co/QtktllEpGs (I'll have to write a blog post on how to write introductions too). The challenges that the problem posing a puzzle presents. The implications of the challenges this puzzle offers. The contributions these authors make in this paper, and a paper outline. Dr. Andrew Biro uses a 3 paragraph method as well in a recent paper he published on bottled water. This is the puzzle we’re facing. These are the questions nobody has considered and the factors that could potentially explain these phenomena. This is how I approach the questions and answer them and provide an explanation. I also have really enjoyed how Dr. Malini Ranganathan (American University) writes introductions. Her introductory pages are similar to those written by a human geographer and/or an anthropologist. Dr. Ranganathan offers a lot of context in her introduction in this particular paper. I found the introduction really compelling and I wanted to describe it in more detail, as her approach is also very useful. Context of the research and where this paper is situated. Fit: how this paper fits within the broader literature. Contribution: a summary of this paper’s argument and how it is different from what we already know. Data sources, methods and findings. 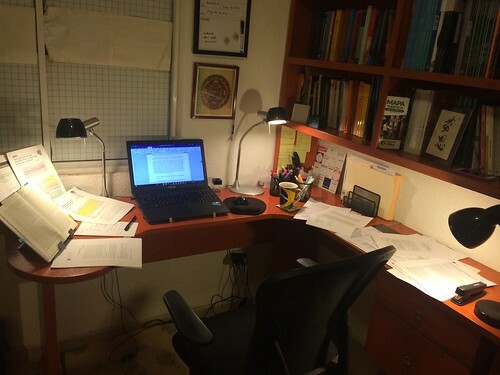 This method is extraordinarily powerful for doctoral dissertations, 3-paper theses, and books. I do love offering contributions in groups of three, and I have noticed many writers follow this model. Another example that I used was Dr. Chris Weible and Dr. David Carter’s paper synthesizing policy studies literature with non-profit scholarship. This particular introduction is incredibly short and powerful. In two paragraphs, Dr. Aiyer synthesizes his entire paper. While I also highlighted other authors, I wanted to keep those tweets for a future blog post on using topic sentences to anchor and write entire paragraphs. Hopefully this summary of approaches to writing introductions can be helpful to students, researchers and professors alike. Tagged with AcWri, introductions, research, writing.